Even though they are the largest group of homebuyers, what is keeping millennial renters from buying real estate? A study by LendingTree set to answer this question by analyzing the credit profiles of millennial homeowners and comparing them with those of renters in the same age group. The study found that millennial homeowners had a higher credit profile than renters, with a median credit score of 671 compared with 582 for nonhomeowners. The study found that this was one of the key reasons that kept renters from becoming homeowners as higher scores make homeownership more accessible. It also found that homeowners had more accounts than renters. While the average homeowner had around nine accounts, renters or nonhomeowners had an average of four accounts. The higher credit scores also helped homeowners to borrow more, according to the analysis. This included the nonmortgage categories where homeowners had a median balance of $6,633 in credit card balances, compared to $2,218 for renters. As a result, only 64 percent of renters had a credit card balance compared with 92 percent homeowners. "This reflects the higher credit scores of homeowning millennials, as they are able to obtain more credit accounts. Many renters may face difficulty accessing credit due to their lower credit scores," said Tendayi Kapfidze, Chief Economist, LendingTree. 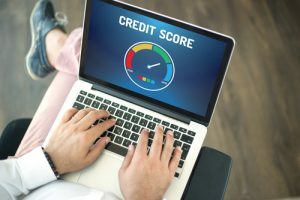 Despite lesser access to credit, the analysis found that renters' median utilization of their available credit was 58 percent, "almost double the 31 percent for homeowners." While homeowners and renters owed almost an equal amount in student debt, at 37 percent, the analysis indicated that homeowners were more likely to have an auto loan as well as personal loans. However, renters had more trouble servicing their debt, "with an average of eight negative marks on their credit profiles compared with just three for homeowners," Kapfidze said. Renters were late on 4.6 percent of all payments over four years, with homeowners late on just 1.5 percent of payments. Previous: What Will Hold Back Home Sales?